Submitted by Alexander Briones on Oct. 4, 2018. First published on October 13, 2016 and last updated on October 4, 2018. There's no denying the pivotal role that vocals play in most songs, as such, having the right tools to record them is imperative. Here we look at what the market considers as the best studio microphones for recording vocals, based on most recent data up to the 3rd quarter of 2018. It is our aim that this guide will help you pick the mic that fits your needs and budget. This list focuses on top rated condenser and dynamic mics that are currently being used in home recording and professional studios. Note that while the main consideration is vocal recording, many of the mics we feature below also work really well with instruments, making them a good value addition to any studio setup. We found three condenser microphones in the $100 - $200 price range that are worthy of our recommendation. They are listed below along with important details as to why users were satisfied with their performance. 93 out of 100. Incorporating 500+ ratings and reviews. The AT2035 from Audio-Technica is a versatile large-diaphragm condenser microphone with an affordable price tag. 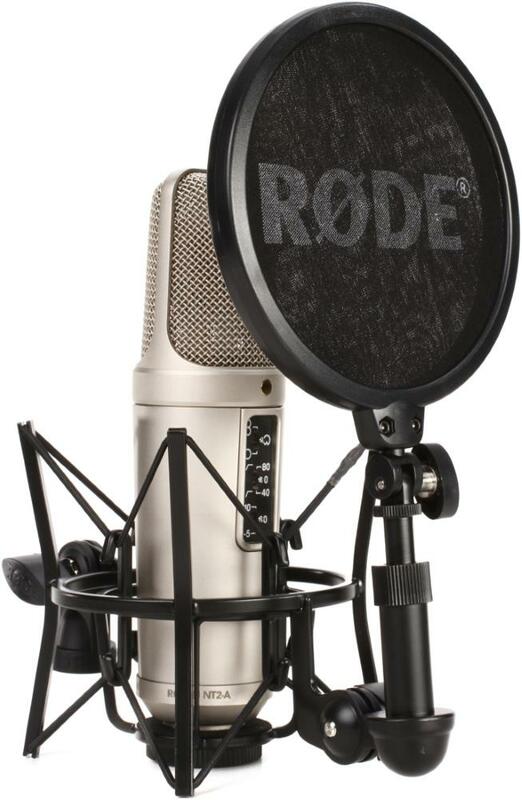 Considering its metal exterior, build quality and the bundled custom shock mount, this mic has become popular for vocal work, from voice overs to live streaming to singing. In addition to vocal recording, this mic can also work with other sound sources, thanks to its higher than average maximum SPL of 148dB, -10dB pad and its switchable low-frequency roll off. The Audio-Technica AT2035 continues to gather positive reviews, with many describing it as a great value microphone. Commonly reported is the clarity and detail that this mic captures, with some even comparing it to more expensive studio mics. The mic's overall solid feel and metal exterior also got a lot of mentions among happy reviewers. And while most are using this mic for recording their voice, many have reported satisfaction when using the mic with various instruments, including violins and acoustic guitars. There are a few complaints that point to its accessories, or the lack thereof, some reported that the package did not come with an XLR cable, while others found the quality of the pop filter to be unsatisfactory. If budget is tight and you're looking for a quality microphone that can handle vocal recording well, and versatile enough to work with acoustic instruments, then get the Audio-Technica AT2035. 93 out of 100. Incorporating 250+ ratings and reviews. The AKG P220 is a versatile condenser microphone that's priced well within the budget of most hobbyists. It is designed to handle different sound sources, thanks to its large diaphragm design and its built-in bass roll-off and pad switches. It is known for its ability to handle sound sources with high sound pressure levels while being equally adept at capturing quieter ones. More importantly, it works really well when used to capture vocals in a studio environment. Many reviewers commend the AKG P220's versatility as its best trait, which is quite special considering the price tag. 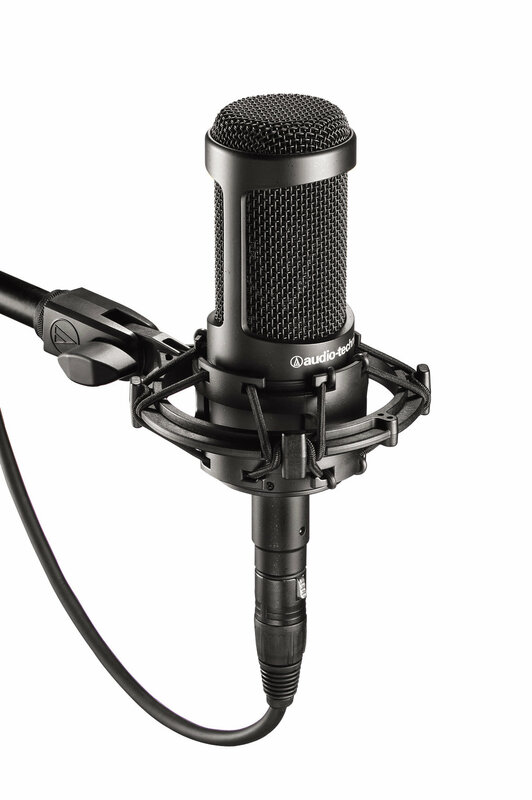 It continues to be a favorite budget-friendly, all-around mic, and it is expected to stick around for quite some time. Build quality and the quality of the included case also got a lot of thumbs up. There were a few who noted that the highs were somewhat lacking, but they were able to get the sound they wanted via EQ. Other than that, the AKG P220 is a great budget friendly mic that will work with most home studio setups. The AKG P420 has a switchable polar pattern that lets you switch between Cardioid, Omni and Figure-8, made possible by its dual-element design. This feature allows for positioning flexibility and allows for live recording of multiple sound sources, i.e. small bands or groups of singers. This mic comes with a sturdy metal casing that should be more than enough protection for regular use. The AKG P420's versatility and reliability has made it a hit with home studios and podcasters. The AKG P420's value for money and versatility are its main selling points. Commendations continue to flow users of different musical backgrounds and styles, from home recording of a solo vocalist, to live recording of a vocal group, to capturing acoustic instruments. The mic's sound quality and rugged build also got a number of positive mentions, even experienced users were impressed enough to use one as their day to day mic for quick captures. Some users commented that the -20dB pad was a bit too much, they were hoping for a -10dB option. Other issues that were mentioned include concerns about its sensitivity and internal noise, which to trained ears can be a bit too high, but still on par with other mics in this price range. If you're looking for a multi-pattern condenser mic for your home studio, or you're looking for a substitute "beater" mic that you can use in place of your more expensive mic for regular use, then this is highly recommended. This price range is where manufacturers can really drive the quality up while balancing cost, resulting in high quality mics that are still reasonably priced, as reflected by their high ratings. Even professionals find some of the mics in this bracket to be of great quality. 94 out of 100. Incorporating 600+ ratings and reviews. The NT2-A is popular mic from Rode, a company well known for impressive sound quality. 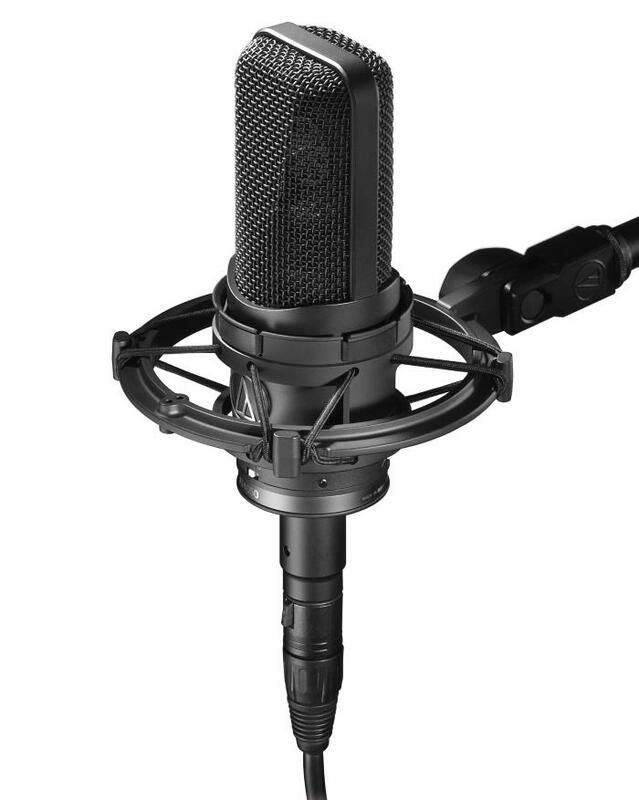 It has a large type HF1 dual 1" capsule condenser microphone that replicates the voicing of classic studio mics. It also comes with a wide array of features built-in, including switchable pickup patterns, high-pass filters and variable attenuation control. All of these make the NT2-A very versatile, working well with most vocal styles and instruments, and it even can be used to multiple sound sources live at the same time. Finally, it comes bundled with essentials like a cable, shockmount and a dust cover. Users have mostly good things to say about this mic, describing it to be much more fuller sounding than their other vocal mics. Some go so far as comparing it with other more expensive mics. Speaking of expense, value for money also gets a lot of kudos, thanks to its built-in filter controls and multi-pattern switch. Being a large capsule mic, this can be a bit bulky and heavy compared to others, so be careful when positioning the mic to avoid damaging drops. While many are happy with the extras included, there are a few who are not too happy with the quality of the pop filter to the point that they gave the NT2-A a slightly lower score. With its versatility and big brand backing, the Rode NT2-A will make a good addition to anyone who want a good quality studio vocal microphone. 93 out of 100. Incorporating 150+ ratings and reviews. The Heil Sound PR 40 is a dynamic microphone that can handle a variety of vocal applications, from recording singing and voice overs, to live broadcasting. While it may look like a condenser mic, it is a true dynamic microphone, with a large diaphragm and low mass magnet that allows for high SPL handling and improved dynamic range. This makes the PR 40 viable for capturing loud sound sources like kick drums. And since it has an internal shock mount and humbucking coil shield, it operates quietly even when near lighting fixtures and video monitors. The Heil Sound PR-40 gets a lot of commendation from users who are impressed with its sound and build quality. This includes podcasters, voice over actors and singers, most of which point to its incredible clarity as their favorite characteristic. A lot of reviewers also commended the mic's versatility, thanks to its dynamic mic design, which allows for handling of high SPL sound sources. Even experts found that it works well with bass amps, guitar amps and even kick drums. Paul White of Sound on Sound had this to say: "This has to rate as one of the best dynamic mics I've ever come across, both for tonality and versatility". There aren't any specific complaints about the mic's performance, but there were a few who were not too happy with some of the extras that were bundled with the mic. The Heil Sound PR-40 is a great addition to any home studio, especially recommended for those looking for a versatile vocal mic that can handle loud amps and drums. 94 out of 100. Incorporating 400+ ratings and reviews. The Electro Voice RE-20 is a large diaphragm dynamic mic that features "Variable-D" technology, which stops it from over-emphasizing the lows when used up-close - in other words, it counters the proximity effect. This feature allows for clear vocal recordings, which propelled its popularity among professional voice-over and broadcast circles. Interestingly, it is also good enough for rock style vocals, since it is Radiohead vocalist Thom Yorke's preferred mic. There's also a bass tilt down switch that further helps with bass attenuation, which makes the RE-20 viable for miking louder sources like guitar and bass amps, as well as kick drums. The Electro-Voice RE20 is described by many as the industry standard broadcast mic, citing its great balance of reliability and sound quality as its best traits. A good number of singers/vocalists commended the mic for working well in both live performance and studio recording settings. Beautiful sounding, magical and astounding are just a few of the many positive descriptions that continue to pour in from various users. There were a few users who were not too happy with its high price tag, but most are satisfied with what they got. A few users also complained of the lack of bass, but this is expected since this mic is designed to deal with the extra bass that regular mics capture. If you're looking for a great broadcast mic, or you're looking for a reliable studio/stage mic then the Electro-Voice RE20 is highly recommended. This price range is where the budget boundaries of home recording and professional studios overlap, resulting in premium quality mics that are ready for professional use, while still somewhat reasonable enough for home recording studios to invest in. Considered by many retailers as one of their top sellers, the Audio Technica AT4050 is a professional studio mic that features dual gold-plated large-diaphragm condenser elements, low-noise transformerless design, and floating construction. These three features complement each other in giving the mic premium sound quality, studio quiet operation and pro-level isolation from vibration and noise. Other notable features include its high maximum SPL of 149dB (which is remarkably high for a condenser mic) and its three polar pattern selector for added versatility. While it is mainly used for capturing the human voice, the AT4050 is a workhorse studio mic that can be used on almost any type of instrument and sound source. Notable artists that have used this mic include Chick Corea, Jack White, Ruby Amanfu, Kenny Garrett, Stanley Clarke and many more. Many users describe the mic as having a very neutral and transparent sound, some even go so far as to say that it is the most honest of the mics they have tried in the same price range. There are also those who appreciate the AT4050's warmth, which they report to work great with different vocal styles. Sound engineers have reported finding quite a lot of good uses for it, saying that it is a great mic to have in studios because it can be used to capture a wide variety of instruments. While many prefer transparency, there are those who prefer subtle coloration, including one reviewer who reported that the transparent sound of the mic was unappealing to his preference. 93 out of 100. Incorporating 225+ ratings and reviews. The TLM102 gives you Neumann's brand of quality build and sound at a more accessible price point, thanks to its relatively smaller profile and streamline design. Surprisingly, this mic actually houses a large-diaphragm condenser capsule, and it features a transformerless capacitor, which gives it premium level clarity as found on their more expensive studio mics. 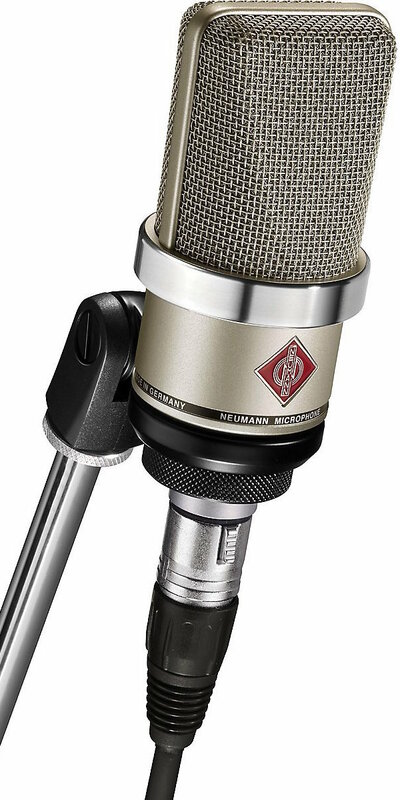 To make it wallet friendly, the Neumann TLM 102 comes with a single Cardioid pattern with no extra features. This limits its versatility, but makes it easier to work with since there are no settings to mess with. It is especially designed for vocal recording with its slight emphasis on the mids. The Neumann TLM 102 continues to exceed the expectations of many, from home studio owners to professionals with big recording studios. It gets a lot of complements for both its solid build and sonic clarity. Some experienced even hail it as the best way to enter into the world of high-end microphones. It's compact size also gets a lot of thumbs up. Paul White of Sound on Sound said, "The new TLM102 embodies everything we've come to expect from a large-diaphragm Neumann studio mic — except the price!". There are a few people who are not too happy with its streamlined design, especially when considering that there are cheaper ones with more features. Still most users find that even with its one-trick pony function, the TLM102 is well worth the money. If budget is not an issue and you're looking for a straightforward and compact vocal microphone for use in your studio, then the Neumann TLM102 is highly recommended. 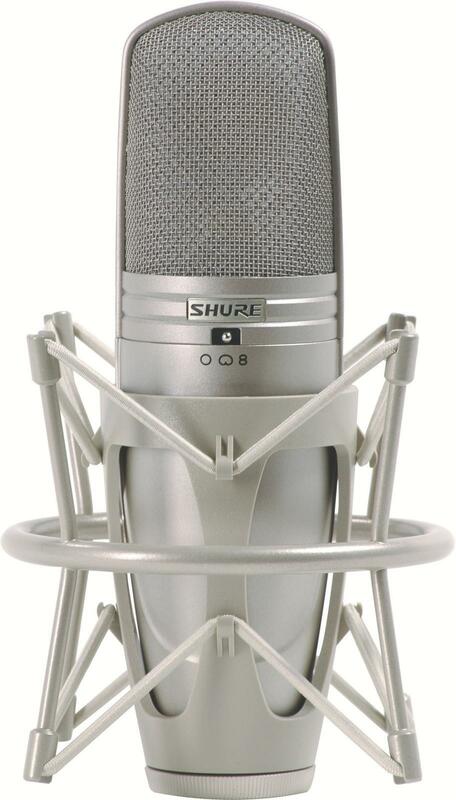 Sitting at the ceiling of this price range, the Shure KSM44A is a premium quality mic with features that make it viable for almost any recording situation, used by many recording engineers including Joe Barresi who put the mic to good use on Queen of The Stone Age's fourth album. It's side-address large diaphragm design makes it ideal for vocals, while the internal pop filter, transformerless output, and Prethos Advanced Preamplifier Technology ensure transparent and quiet operation. Other features were implemented to make the mic more versatile, including the dual diaphragm 3-polar pattern design, switchable attenuation pad and selectable highpass filter. Most of the reviews that the Shure KSM44A received are from experienced engineers, and their general sentiment is that this mic is well worth the money. Many consider it as the flattest, clearest and most neutral of the mics in this price range, to the point that some describe it as the best mic in their collection - which incidentally includes mics that are priced above one grand. Its super quiet operation and tank tough reliability were also appreciated, along with its ease of use. As one reviewer puts it: "If you can't make great music with a KSM44A, you're doing it wrong." Interestingly, some users commented that the neutral sound of the mic tends to be unforgiving, especially for new singers. There are also those who mentioned that some positioning adjustments were required to flatten the subtle brightness of the sound. The Shure KSM44A is highly recommended if you want to upgrade your home recording vocal mic to a professional, true studio quality one. Condenser mics continue to be staple equipment for recording vocals, but don't brush off dynamic mics just yet because even pros opt to use them for certain scenarios. While the boundaries can be blurred from time to time, the general idea is that condenser mics capture more sonic detail at the expense of having limited sound pressure handling, while dynamic mics can handle louder sources and have better noise rejection. The safest and most versatile of the two would be the condenser, but if you're into recording loud sound sources, or full band performances, then getting a dynamic one is the better choice. Note that condenser mics usually require phantom power or their own power supply to work, while dynamic mics don't need any kind of mic preamp or power supply. If budget permits, it is recommended to get one of each so you have a go-to mic for virtually any type of vocal recording. Polar patterns describe how a mic captures sound, to be more specific, the location and direction of the sound relative to the mic's position. Cardioid, with its front capture and rear rejection is the most commonly used for vocal recording. Other patterns like the Figure 8 and Omnidirectional allow more of the ambient sound to be captured, and can also be used for recording a singing group or multiple sound sources. This specification indicates how strongly a mic responds to various frequencies, usually shown in the form of a chart to show the specific frequencies that are emphasized and de-emphasized. The resulting sound should ideally be as neutral and flat as possible, however there are who prefer subtle coloration like additional warmth and low-end. Singers with a low pitched voice will appreciate those with strong frequencies below 200Hz, since they can reproduce the tone of their voice better. On the other hand, you'll want one that can tame some of the highs if your voice tends to be naturally high-pitched. The more familiar you are with the voice that you're recording, the more useful the frequency charts will be to you, and this is the reason why professional studios have multiple mics to accommodate various voice types. A good rule of thumb is to start with a flat EQ and make adjustments as necessary before switching mics. Pop filters are essentially "wind screens" that stop excessive air movement while allowing sound to pass through. Sudden air movements from strong "p" pronunciations can cause unwanted volume jumps or worse cause signal clipping, which is unwanted in a recording setting. Many mics come with bundled pop filters - but some have expressed concerns about the quality of some of these free filters. More expensive condenser mics have pop-filters built into the casing itself for convenient pop and noise protection. This indicates the maximum volume, measured in decibels (dB), that you can expose a mic to before it starts to distort the signal. This is not a primary concern for vocal recording, but if you want an all-around mic that you can use for louder instruments like drums and amplifiers, then you'll want to consider those with high Max SPL. Most of the mics mentioned in this guide feature switchable attenuation pad(s), which allow them to handle louder sound sources without distorting the sound. In line with this, an SPL meter is a good tool to have, even for home studios. You can either download an SPL meter app for your smartphone or buy a hardware SPL Meter for more accurate measurements. Most audio interfaces, mic preamps and studio mixing desks today provide phantom power, but in case you have an old one that doesn't you'll need a separate mic preamp or a channel strip that can supply power to condenser mics. Note that there are some condenser mics that can't run on phantom power, rather they have dedicated power supply to feed them with the power they need, which is usually the case for tube driven mics. Dynamic mics don't require any power so no need to worry if you're going that route. While the main focus of this guide is for recording vocals, many of the mics that are listed here also work well with other instruments. Dynamic mics with their high max SPL will usually work well with loud instruments like drums and speaker cabinets, while condenser mics record acoustic guitar and other acoustic instruments just as well. An idea is to consider other instruments that you will also record, and get vocal mics that will also work with them to get more out of the money you're paying. Our goal is to feature the best studio microphones that can be readily bought from online American music equipment retailers. As such our initial short list featured popular and top rated mics that are currently being sold in the US. We then compiled all relevant ratings, reviews, forum discussions and expert recommendations, which for this update tallied to over 7,600. All of these were then processed via the Gearank Algorithm, which gave us the scores that helped us select the cream of the crop from three specific price ranges: sub $200, sub $500, and sub $1000. For more information about this process see How Gearank Works. Submitted by Edwin Holt (not verified) on Aug. 28, 2017. I'm looking for a Mic plus pa system that will give me a quality sound over a screaming audience without me having to scream into the Mic, and or make adjustments in the middle of a song. While at the sametime picking up the sound from an acoustic guitar. I'm not trying to ruin my vocal cords while singing any type of song. I'm open to suggestions. Submitted by Alexander Briones on Aug. 29, 2017. While you can mic an acoustic guitar on stage, it requires more effort to setup. It is also harder to stop noise from bleeding into acoustic guitar mics. This is why miking acoustic guitars are mostly done in recording studios, or intimate/small venue performances. If you're singing and playing guitar at the same time over a noisy crowd, then you're best option is to have a good acoustic electric guitar that can be plugged in straight to PA, and have a dedicated stage mic for vocals. You can click the links to see our recommendations, based on market response. Since you mentioned you're looking for a PA system, you can check out our Portable PA System recommendations. Submitted by Jason Horton on Nov. 28, 2017. Submitted by Prince (not verified) on Jan. 20, 2018. So the Akg p220 condenser mic can work well in accompanied with what type of mixer and interface? Submitted by Jason Horton on Oct. 9, 2018.